Miles of sandy beaches, fantastic restaurants, traditional culture, bustling nightlife, exciting watersports and great exchange rates have made travel to Cancun a memorable experience. All of this makes Cancun Mexico’s most popular tourist destination. Thousands of tourists travel to Cancun every year to party at its bars and clubs and at have a flutter in its casinos. But forget what you’ve heard about it being Spring Break capital. Cancun has something for everyone. There’s laid back bars, live music venues as well as a great selection of restaurants should you be looking for quieter nights out. If you’re looking for a relaxing break then Cancun has a beach with your name on it. It is home to over 14 miles of beautiful sandy beaches. Its northern beaches have calmer waters making them perfect for younger swimmers. While beaches on its eastern coast are breezier and therefore are graced with larger waves. This also helps make Cancun a great destination for watersports. You can choose from para-sailing, windsurfing and jet-skiing. But Cancun is also home to the second largest coral reef in the world, so is a destination loved by scuba divers and snorkelers alike. Cancun has an abundance of restaurants. You can choose between traditional Mexican, fresh seafood or even Oriental cuisine. And if you’re seeking some fine dining you’ll find three restaurants – The Club Grill, Fantino and Le Basilic have each been awarded with AAA five diamond. Another reason to travel to Cancun is to discover Mayan history. The surrounding area has a huge amount of history and has been heavily shaped by Mayan culture. There are many tours available from the city. You can visit archaeological sites like Chichen Itza – around three hours drive from Cancun, the ancient city of Coba, Ek Balam or magical Tulum. 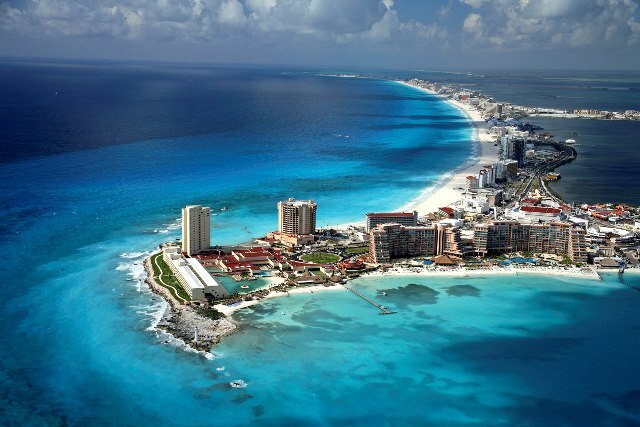 As more airlines introduce direct flights, travel to Cancun is becoming increasingly easy. Cancun’s international airport has direct flights from the UK, US and Europe with scheduled carriers, British Airways, Virgin, American Airlines and Air Europa. 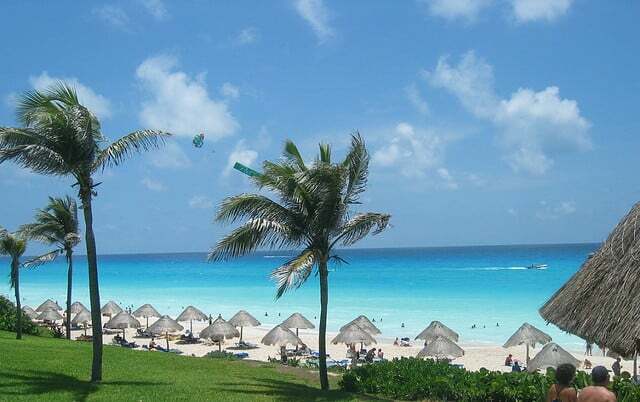 Four airlines fly direct from the UK to Cancun with the average flight time of around nine hours. A direct return flight from the UK starts from £337. 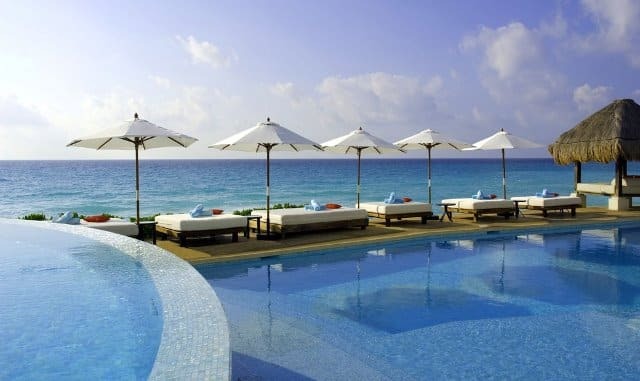 Three quarters of the hotels in Cancun are rated five-star allowing plenty of choice for luxury travellers. Beyond the city of Cancun, head to the Riviera Maya home to many exclusive resorts. You can also stay in the resort town of Playa del Carmen or on the island of Cozumel. To avoid being overcharged when travelling by taxi, agree on a fare before entering the vehicle. When arriving at the airport you must use the airport’s own taxi system as other taxis are restricted from collecting passengers from the airport.